Hello, I’m new at this site. Looking for your help. Need to buy good quality printer to print digitally bus.cards, postcards, flyers, ets. I’m only one person in small sign shop, mostly order online offset, but very often my customers ask to print it in one day. Please recommend what is best brand machine and low cost of ink. My budget about 5-7 K. Appreciate your help. You seem to be barking up the wrong tree. On this site digital printing means feeding cards one at a time into a platen press with your own digits (fingers), and enduring their safety. I’m certain there are resources online which could be more helpful in your quest. I work with letterpress, screen printing, and digital printing in my business and can produce some truly unique items combining these processes so welcome you to Briar Press! You’re looking for printers that fall into the “graphic arts production printers”. The two models I would point you towards are the Xerox 7800 series and the OKI Data C900 series. Both are Tabloid size printers as well have optional finishers you can buy for stapling, envelope printing, etc. The OKI data seems to have superior media handling (can use up to 130# vs 110# on Xerox model) but the costs to get replacement toners costs almost half the cost of the printer itself! The toners are rated at 36,000 prints so if you’re low volume those toners should last you a while. The Xerox seems to have slightly better resolution (1200x2400 vs 1200x1200 on the OKI data model), is less expensive for replacement toners. There are obviously many more points of comparison you’ll want to consider too. Website for the Xerox 7800 series is: http://www.office.xerox.com/printers/color-printers/phaser-7800/enus.htm... and it starts at $4K. Website for the OKI Data C900 series is: http://www.okidata.com/printers/multimedia-production-platform/c900 and it starts at $3.7K. Perhaps of note is the OKI Data C941dn - I believe it comes in around $6-8K but allows for a fifth toner in addition to the CMYK toners. Right now, they offer a white toner which make amazing opaque prints on dark paper and a gloss toner that lets you do flood and spot coating easily. I hope that helps get you started. Please keep us posted on what you decide! To clarify what you mean by “Letterpress Light”, are you describing the process of doing digital printing on a type of stock that is reminiscent of a letterpress product? (Lettra being a great example of that). If so, I don’t know of a printer currently on the market that can accomodate a 220 lb stock. A 200 lb stock is equivalent to 600 gsm. For comparison, the OKI Data C900 series that I mentioned can accommodate 360 gsm stock. An HP Indigo (~$100K digital press) can accommodate 400 gsm stock (I believe). If you want to do digital printing on a really thick stock, you might want to get up to speed on duplex laminating. 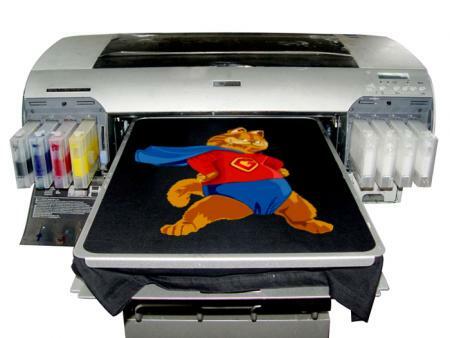 For example, if you did digital printing on a piece of 110 lb stock then affixed it* to another sheet of 110 lb stock, you would end up with a 220 lb digitally printed product. *There is an article by Sabine Lenz (owner of PaperSpecs) at http://www.printmediacentr.com/2012/08/26/thick-and-delicious-business-c... that goes into more detail on this - definitely worth a read. As far as I understand “Letterpress Light” is a process where the image is digitally printed on the stock then a single photo-polymer plate is used to blind de-boss the entire image, or it could be embossed too, I guess. The advantage of this process, aside for not needing offset printing inks, is that the solids are real good and the image can even be a process color image, like a picture. Not to mention that only one plate is required to de-boss the entire image, regardless of the number of colours and no wash-ups. One customer brought one such invitation to me to show the quality of the solids compared to what I can achieve on the Heidelberg. I was amazed with the quality BUT the de-boss was miss-aligned to the digitally printed image. That is how I figured out that it was not a regular letterpress print. I don’t know much about the process, but I am interested in it. I see the potential in the process to create unique pieces. Perhaps they use a printer like in this picture? If you put wooden wheels on a Ford Taurus, does that make it a Conestoga Light? My father had a Ford Taunus, the German version of the Taurus, the Caravan version with wood panelling, with wooden wheels and the smaller engine might be called Conestoga Light … LOL ! TheArmMYC, of course I know what you are referring to. There was a heated discussion about this on this forum. Also note that I put the term in between quotation marks. The term might be misleading, but I find the process interesting, and YOU can call it what you want = I don’t want to open a can of worms regarding the term = if you let me know your term for it, I will call it the same. I am easy going that way. To me the end result is more important, than to be politically correct. If you come up with a suitable name for the process, please feel free to enter it in to Wikipedia, so in the future we can all refer to it correctly! If it bothers you that much, you better do it, because I believe that this process is here to stay. What we are doing to the paper today, used to be a mistake in the olden days. If the printer did “letterpress” 3 times in a row with lead type, he would be out of his job for forever. But again, he was just a Hungarian immigrant, what did he know about proper English terms and definitions? I hope you speak in jest, but I cannot see the twinkle in your eye. of terms and definitions to perform his trade well. When I studied printing 65 years ago it was called printing. The teacher never spoke of offset lithography, nor mentioned the term letterpress. I later learned that the term letterpress was invented to distinguish the process from offset. We were taught to print on the paper, not into it. Often both sides. I believe the artist should be free to express herself as she wishes. If she wants smash printing, OK. Just not with my type. Hello “inky”, yes the twinkle is there ! I appreciate the additional explanation of “Letterpress Light” and was further educated on this topic via a 2011 thread on Briar Press (http://www.briarpress.org/27060). I’ll refrain from sounding off with my opinion of the product. BUT specific to the technique and process. I would agree that we are looking an at inkjet printer. Two printers come to mind for recommendations: Epson P600 or Epson P800. Full disclosure: I am very loyal to the Epson brand but believe it’s been well earned - Canon and HP are some other players but I don’t know as much about their product lines. Both the P600 and P800 deliver fantastic prints using a set of nine pigment inks. The P600 prints media up to 13” wide at 5760 x 1440 dpi while the P800 prints media up to 17” wide at 2880 x 1440 dpi. They also handle thick media really well - I know a colleague that uses 640 gsm Savoy on a regular basis and the prints look nice. I bought the Epson R3000 six years ago (the predecessor of the P600) thinking that printing on media up to 13” wide was more than I’d use but today wish I’d gone for a 17” model and planning to upgrade to the P800 myself. Another potential use of the P800 is making digital negative film if you happen to make your own photopolymer plates. While another topic of debate up here, I will talk directly to the numbers… Two thing that you definitely need for a good negative film is high resolution (as measured by dpi) and an opaque/dense black to block UV light (as measured by dMax). Depending on the make and model, imagesetters can output film between 1200 x 1200 dpi and 4800 x 1440 dpi as well as opaque blacks between 3.0-5.0 dMax. The P800 can output film at 2880 x 1440 dpi as well as opaque blacks between 3.5-4.0 dMax. So just from these numbers, an inkjet might be worth a look for your digital negatives as well. Regardless, I think this is a good printer if you’re looking to play around with “Letterpress Light” (or whatever an appropriate name for that technique would be). Can we get away from the “deboss” term once and for all. It is embossing no matter how it is done. Blind or foil from the front or back it requires a die plate or some times a male and female die combination. Yes please, get rid of it! It is another one of these ‘made up’ words, like ‘deep letterpress’. It’s not in the dictionary either! Embossing is the only correct term. all words are “made up”. when you think about it. deboss is a word that accurately describes a given process or result. it is found in the merriam-webster dictionary, and has been used since the 1930’s. it does not have a latin origin so the purists here may have trouble swallowing it. “i build cars” vs “I build convertibles”. what about words like “Selfie”. “Byte”, IE megabyte, “Wi-fi”, “Bluetooth”…. are these not “made up words? but they mean things, and we know the meanings…. as with a lot of discussions here, this one has been hi-jacked, (another made-up word?) from the original point. Well, if there isn’t a die and counter die, can it be embossing? When people refer to debossing, it is really a blind impression from an ordinary relief form. Definitely this discussion topic was hi-jacked! What is next, beheading the hostages? I hope not … LOL !!! I do feel that there should be category on Briar Press for this topic. It is an important subject, for some it is more important than for others. BUT even though I used loose terms describing some processes, almost everyone knew what I was talking about, and that is important too. Perhaps those who are more interested in printing related definitions than me, should request a category to be opened for this discussion from Briar Press. And you could duel there on these subjects to your heart’s content. I am more interested in making some Dinero. SO, the original topic was digital printers. My interest is printing digitally on Letra 220lb. paper. Looks like to me that most of these digital garment printers are modified Epson printers. The bottom of the printer is removed and the paper advance mechanism is replaced with a sliding table. If one put 3 “nails” in to this sliding table, in the location where the Heidelberg lay gauges would go. One could achieve a pretty good registration between the two presses. Anyone has experience with this or similar application of digital printers for … well, you know for what? LOL, now I am traumatized, I am afraid to use THE questionable term. I looked at the “About Briar Press and briarpress.org” and it seems that most of us ( including me ) should not even be members here. Sorry, after so many years being a member here, I just realised I might just joined the wrong group! I am looking to create something modern and unique. The ONLY thing connecting me to the ancient printing is the use of the ancient PRESS which is able to DEFORM the paper to give it a 3 dimensional tactile feel. I am looking to SCULPT the paper not to print on it! Definitely not using lead type, all design and pre-press is DIGITAL and the paper comes out from the press deformed like a propeller! Is there a forum for that, if there is, I think I would be a better fit there?! Maybe I should join the Paper Propeller Pressers Guild? I do realise now why some of you are so upset with discussions about some new technology, like digital printing. Looking at Briar Press’s Manifesto it does look to me justified too. BUT, if we leave for that “other forum” which as far as I know does not exist yet, you few remaining here would be very lonely !!! Do we non traditional printers take up unnecessary and unwanted bandwidth on this forum with our quest to discuss newer technology? Are we not welcomed here? Should we look for an alternate forum more suitable for us? Good points Louie. Many are so wrapped up in trying to relive the dark ages they fail to realize that a press is just a tool carrier. More I read in to it, lesser at home I feel here! Anyone with ideas and experience in creating a similar to Briar Press community, a on-line Guild of modern users of ancient presses. For us who don’t have Private Presses for hobby use, but perhaps children to feed and mortgages to pay off? Perhaps such a place does exist, just I don’t know about it? Mike Conway, this IS the community for those who are trying to re-live the dark ages of printing! This is their home, and I am not sure that we are welcome here. Our issues are distracting for them. Louie Dudas I do not believe it is about trying to “re-live the dark ages” but about preserving a skill and an art that started printing. We have a mortgage to pay as well. But believe strongly in preserving the art and skill of letterpress. It is history, it is how people fed their family’s and paid their mortgages years ago. There is a skill and talent there that is appreciated by us and many others. Many here are supporting children and paying their mortgages in a letterpress business and not living in the dark ages. They are doing what they love and believe in. Please show more respect to others. I personally find your statement “re-living the dark ages” quite argumentative. Briar Press is a community of letterpress printers, book artists, and press enthusiasts. The site is dedicated to the preservation of letterpress-era equipment and the art of fine printing. I am sorry that you perceived my comments disrespectful. It was most certainly NOT meant that way. Actually quite an opposite, I am giving respect to those who are dedicated to the preservation of letterpress-era equipment and the art of fine printing and I will withdraw from further technical discussions here, since I don’t belong to those printers. I just realised that this is your forum not mine. On the other hand, mocking my reference to Letterpress Light is disrespectful ! The deserving members here could have instead bring it to my attention that on this forum there is no place for Letterpress Light. Instead it got compared to Conestoga Light … LOL … is that respect? But be careful, who decides here where is the technology cut off date? Is it 1820 ? Couple years more, or 100 years more? Well, there are 3315 Private Press names registered on Briar Press. By definition, a private press is a print shop whose proprietor, or prop, is a personal or hobby printer producing ephemera for fun, self-expression, and occasionally utility. I know that everyone supports children and pays the mortgage, but not from the Private Press operation as it is defined by Briar Press! I fall under this category: Press operators who produce work mainly for commercial ends are not props, strictly speaking, though they may well be proprietors of the presses. As you can see for the above reasons I really should un-member myself! And also in respect to those who are personal or hobby printers producing ephemera for fun, self-expression, and occasionally utility. I am a “professional”, and please don’t mock that, even if you have a different opinion about me. The sorry thing is that it seems to me that the Private Press members did receive quite a bit of help from the “professionals” in solving their printing problems. I am not the only one here who does not meet the Private Press criteria. Again, I put the “professional” in between quotes. With this term I refer to those who print for profit. Stick it out Louie a lot the folks on this forum need us for advice. Don’t fret over what some “master of fine art” has to say. I get a lot of personal messages from members that want straight answers to problems. btw there are some FB pages for letterpress and Heidelberg presses. I was taught from the Union back in the sixties that our Kluges and C&Ps were Platen Jobbers, or Letter Presses. It was not to distinguish it from planographic printing, it was because we used these devices for typeset cliches or formes. We, in fact, printed Letters. And, on occasion, Zincos. And on rare occasions, copper dot-etched half tones, but we avoided those on the platen jobbers: that was the domain of the offset shop, with which we worked very closely. I ran the Letterpress operation at BKM press in Orlando until it was shuttered in 1974. Little did I know I would have a C&P and Kluge in tow 30 years later, awash in what I call “New Letterpress”. And yeah, sometimes I have to swallow hard. But some of it’s actually pretty refreshing. Oh, btw, we also called it “deboss” on the floor. Shop foreman would come by the delivery table and flip the cards in my stack and look for deboss. He called it that, the other pressmen called it that, I called it that. If there was more than an acceptable amount of deboss, the stack was tossed and I was sent to the bindery to recut the KromeCote myself, and re-run it - and meet the same time sched. You can…in fact you want….to have a slight deboss on KC, but not so as to punch the back. One of the reasons why was that it increased the likelihood of set-off. KromeCote was wonderful to print fine detail on, we used it as often as appropriate. In our shop (s) (I’ll cite: Northern Chester County Tech School, Valley Forge PA, Robinson Press, Orlando FL, BKM Press, Orlando FL)- deboss was the punch, EMboss was the lift. Embossing was done with two hub dies or a male die and flexible receiver, such as was done for the Envelope Stamps at the Bureau. Deboss is, and has been, a blind impression. If the word was invented, it was before Warren G. Harding’ s time. Digital on this forum. Only my opinion. I give one every three years, so bear with me. Fine and dandy. Was it ever said that digital printing discussions were not welcome here? I dunno, I think it’s pretty cool. But I leave that to y’all. I see a trend in “New Letterpress” that is departing from that William Morris perspective, a fork in the road, as it were. We choose which way we wish to go. I would just caution to avoid discouraging the guy or gal who has the heart of Mr. Morris, with the “well, that was in the dark ages” rhetoric and commentary. Hell, your PRESSES come from those dark ages, and were designed to operate under the dynamics then at large. Excalibur was not a stone cutter’s chisel. Good and thought provoking discussion, y’all.